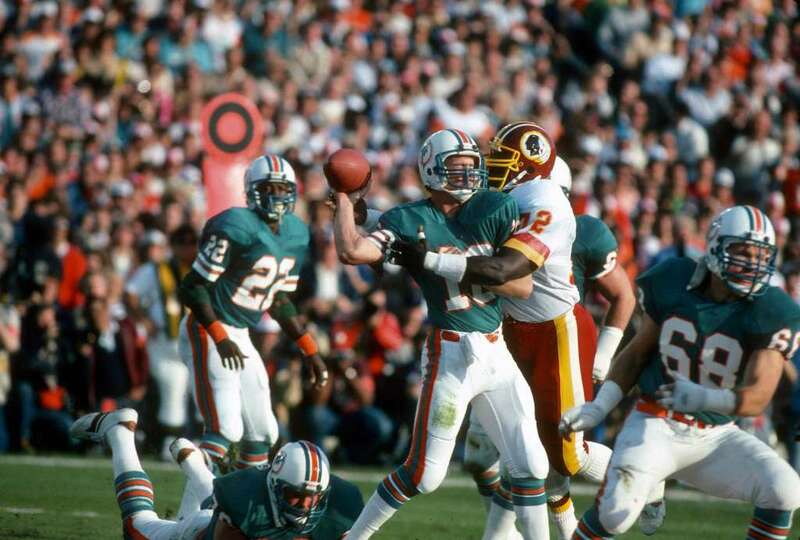 ​Following the strike-shortened 1982 regular season, the Washington Redskins and the Miami Dolphins represented their respective conferences in the seventeenth Super Bowl, a contest that went down to the final quarter, and turned on a single, fourth down play. 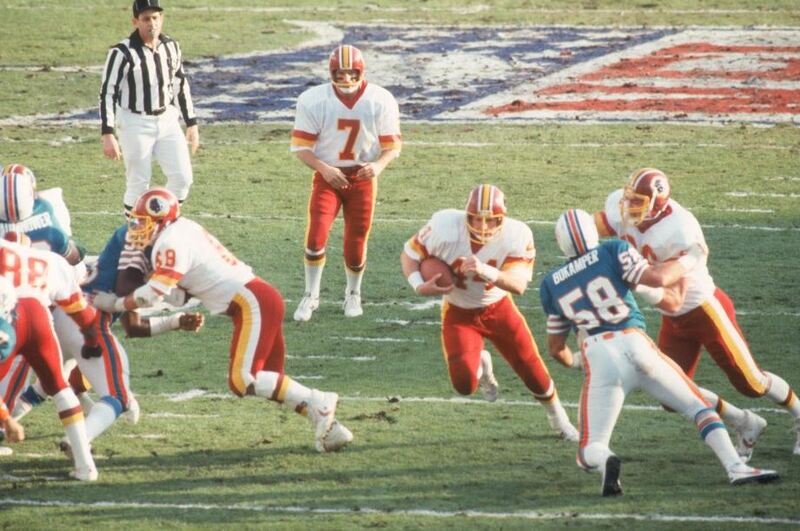 As close as the score was throughout the first forty-five minutes of game time, even seeing the Dolphins enter halftime with a 17-10 lead, the Redskins had arguably been the better team. Miami's two scores had come off the back of two big plays - a 76-yard scoring strike from David Woodley to Jimmy Cefalo, and a 98-yard kickoff return courtesy of Fulton Walker. The Redskins booted through a field goal in the third period, narrowing the gap to 17-13. They had the ball again with 10:10 on the clock and facing a fourth-and-1 from the Dolphins' 43-yard line. The play is now one of the most replayed in Super Bowl history. 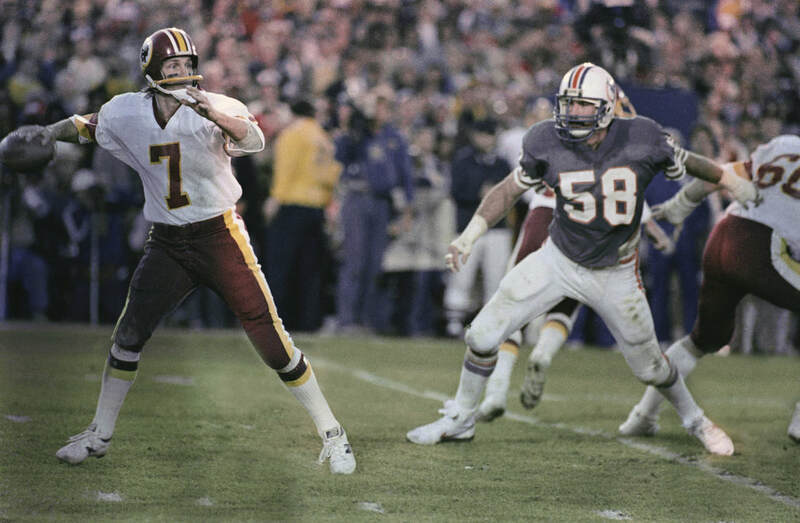 Quarterback, Joe Theismann, would hand the ball to their workhorse running back, John Riggins, who rumbled to the left hand side of the line. He picked up the first down, and shortly after, stiff-armed Miami's Don McNeil to the ground on his way to the end zone. Following the extra point, the Redskins had taken a 20-17 lead. Riggins would finish the contest as the MVP, rushing for 166 yards (then a Super Bowl record) off the back of 38 carries. 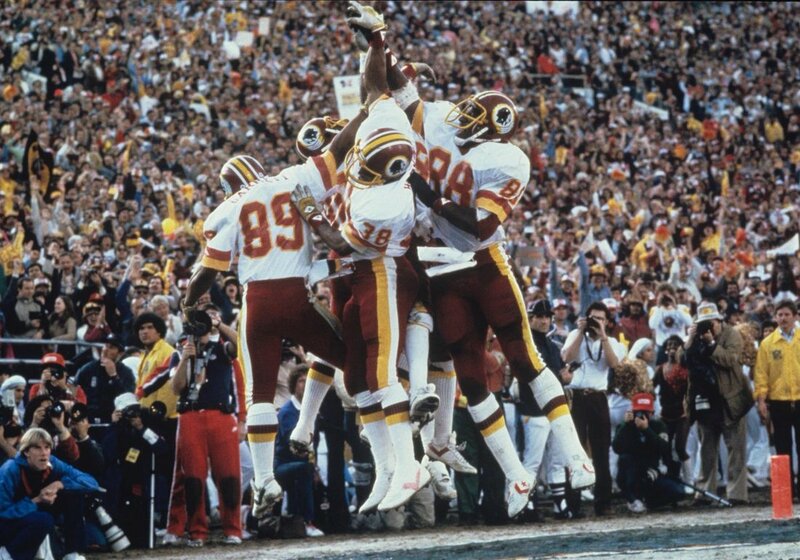 The Redskins sealed their first Super Bowl victory with a 6-yard Theismann touchdown pass to Charlie Brown, making the final score 27-17. Redskins QB, Joe Theismann was originally drafted by the Miami Dolphins a decade earlier in 1972 but he didn't sign - the year they went undefeated. 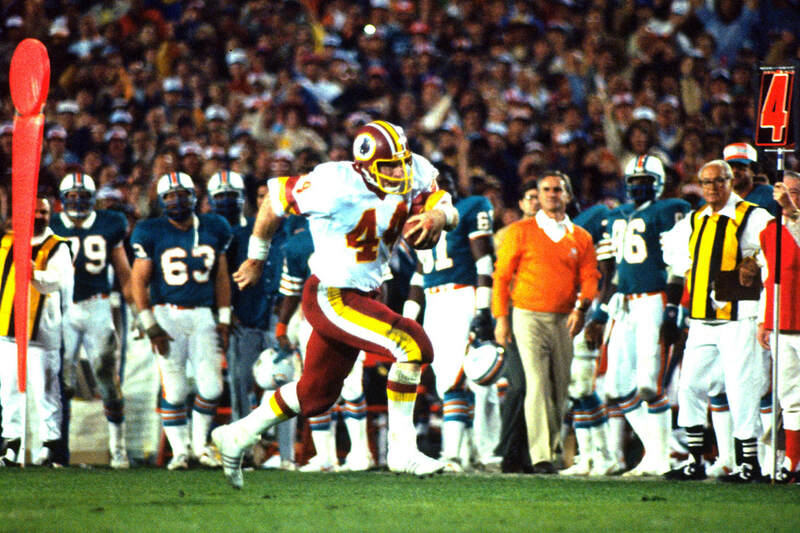 When John Riggins broke the century mark he became the first running back for a NFC team to do so. As well as setting the record for rushing yards in a game, his 38 carries were also a Super Bowl record. The coin toss was almost an event in itself. The Dolphins called it, and selected tails (which it was), however referee, Jerry Markbreit, at first announced the landing as heads. He was quickly corrected, and Miami received the ball first. Following Super Bowl XVII, NBC would broadcast the premier of the much anticipated 'A-Team'. This would mark the yearly "premier" of such programs following the big game. 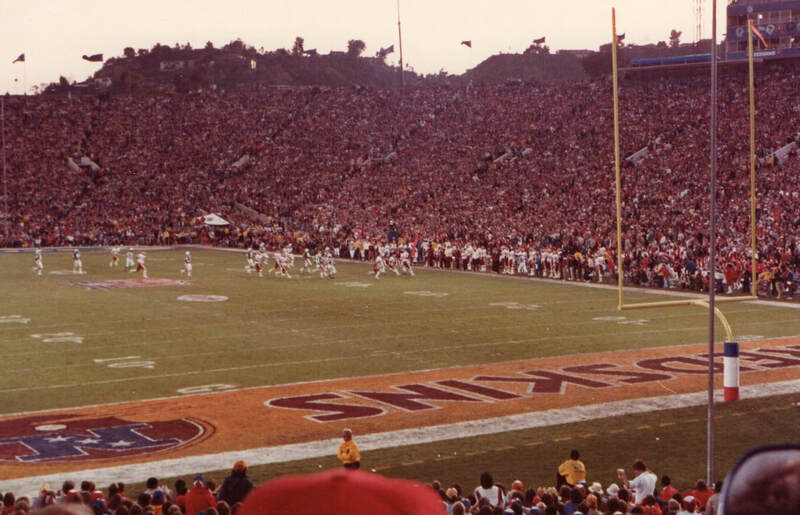 Super Bowl XVII was the first NFL game to broadcast live on terrestrial television in the UK, airing on Channel 4.